The internet has made it incredibly easy for lots of entrepreneurs and startups to find customers and build a business. Now lots of micro-businesses and solo entrepreneurs who sell online are worried that a new EU VAT rule will mean the end of their business. In the UK, businesses aren’t currently required to register for VAT until annual turnover reaches a threshold of £81,000. Due to the extra paperwork that VAT registration entails, many small businesses prefer to avoid it. Once you are VAT registered in the UK you have to keep more detailed records of your sales and purchases and do regular VAT returns to HMRC. You also have to charge VAT (currently 20%) on all purchases. The EU rules on digital goods only apply to business to consumer sales and not business to business so any business will need to keep track of who their customers are. 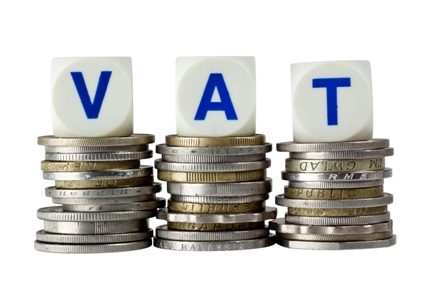 For many small businesses run by solo entrepreneurs the extra paperwork and costs involved in being VAT registered will cause them a lot of problems while having to charge VAT may mean being less competitive. Startups selling to consumers in the EU can register for VAT with each country individually, something which, if we are talking about just one or two, might be seen as favourable to registering for VAT in the UK and the accounting headache that goes with it. Most businesses though will probably want to register for VAT here and use the ‘Mini One Stop Shop’ (MOSS) which enables them to submit returns and payments to the MOSS, who then handle the responsibility of distributing VAT payments to the recipient EU countries. e under the law of the member state whose rules have been broken. This can range from a sum that is proportional to the VAT due to a fixed payment with a ceiling of tens of thousands of Euros. The proliferation of products online and growth of the digital economy has not gone unnoticed by governments, and this is an obvious sign that they want a piece of the action. But the rule change is also being seen as a response to the increasing public dissatisfaction at the tax avoidance strategies of large digital companies like Amazon and Google, who take advantage of the vastly fluctuating VAT rates across the EU by basing their European operations in countries where it is especially low. e change. The new EU VAT regulations only apply to digital products and do not affect those businesses delivering physical products or live services, meaning that digital businesses get penalised while other types of small businesses can continue trading unaffected. e. What would be an absolute travesty and what we have to hope this rule change doesn’t do, is put off potential entrepreneurs from launching a business altogether. If you are a running, or thinking of starting a small business, and are unsure of the tax implication please contact us or give us a call on 01245 492777.